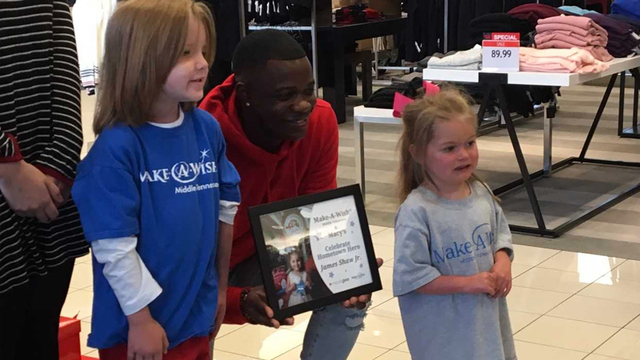 Macy’s is partnering with Make-a-Wish to give holiday joy to children who are suffering from serious illnesses and Nashville’s own James Shaw Jr. stopped by to help. This is the 11th consecutive year that Macy’s has partnered with Make-A-Wish for the annual “Believe” campaign. If you send a Christmas wish list to Santa, Macy’s will donate $1 to Make-A-Wish for each letter, up to $1 million. The campaign runs until December 24. On Friday, Waffle House shooting hero James Shaw joined Make-A-Wish kids Harry and Nadia to write the first letters. Harry and Nadia also presented Shaw with a certificate. Customers can write their letters and drop them off in stores in the red “Believe” letterboxes or submit them online .